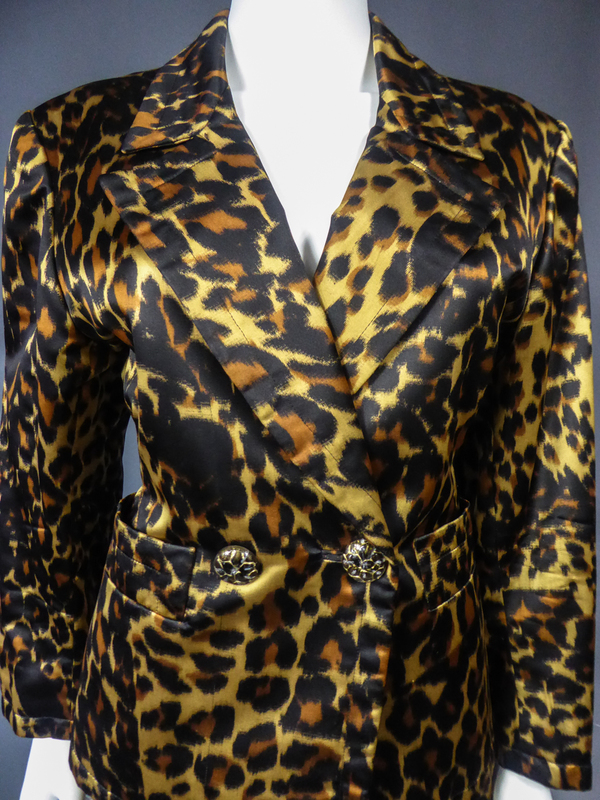 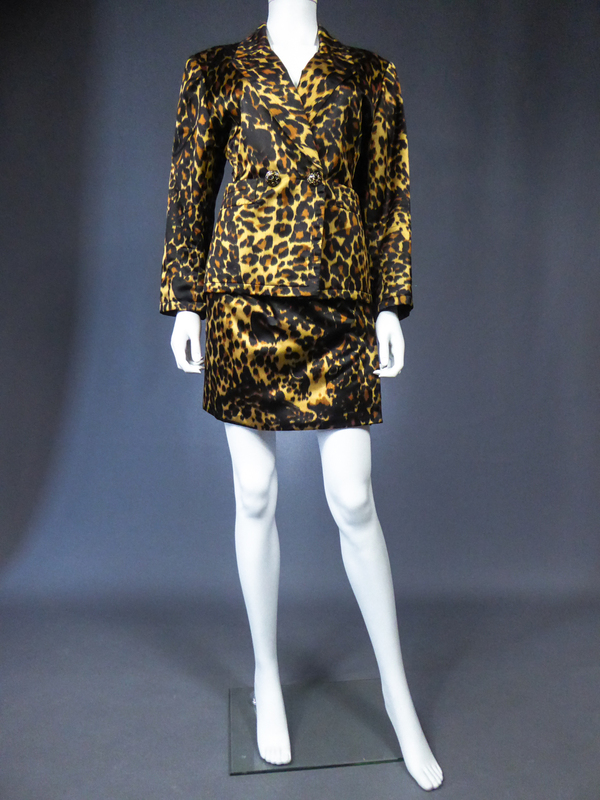 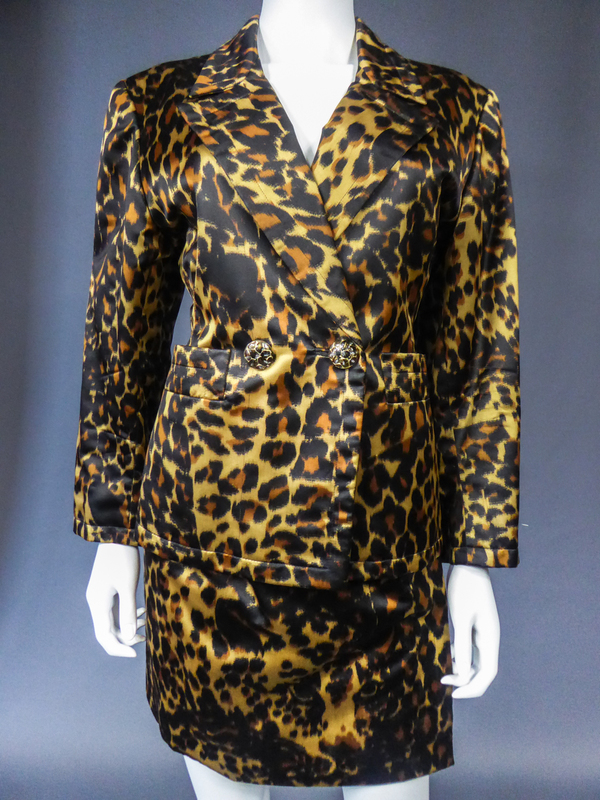 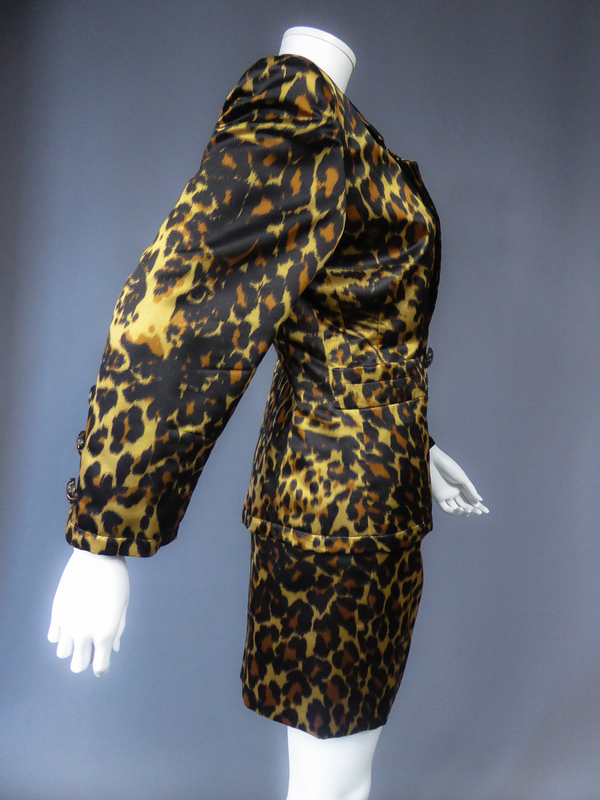 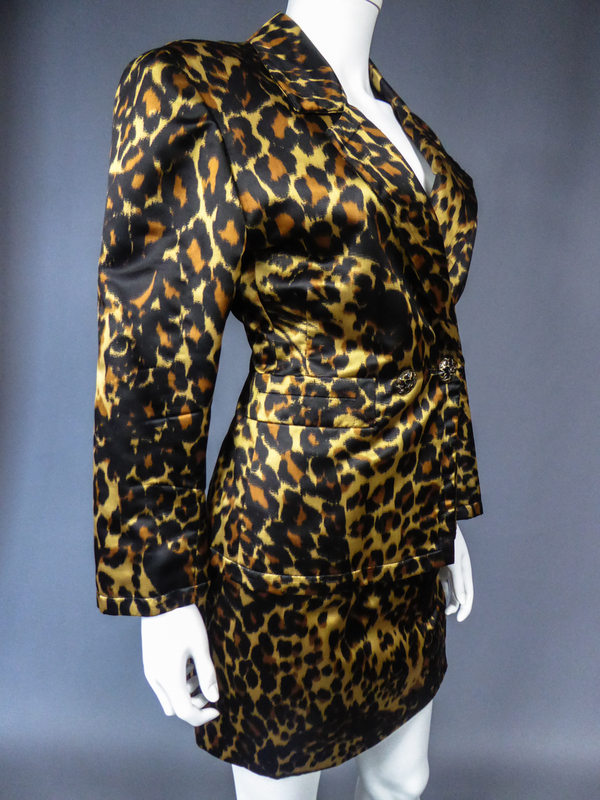 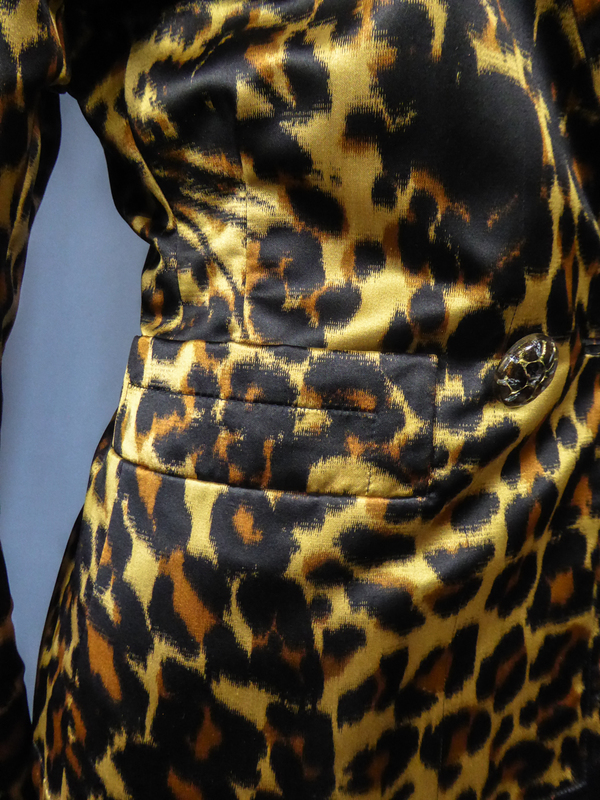 Yves Saint Laurent Skirt suit without label from the 1990s. 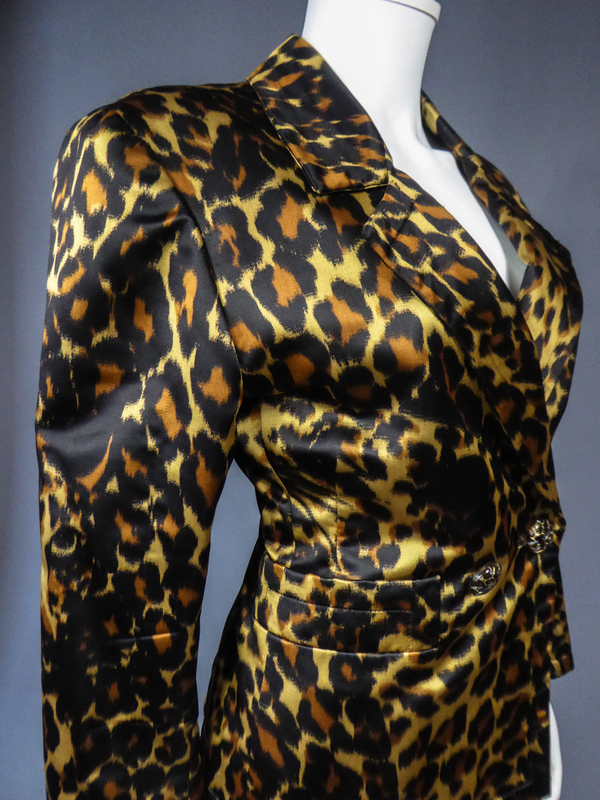 Set in printed panther silk satin. 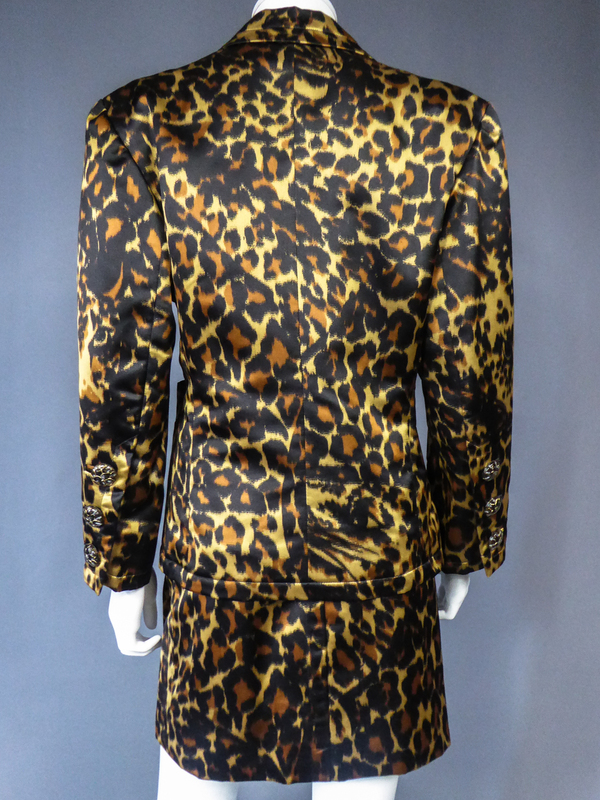 Crossed jacket with topstichting, large lapels and pockets. 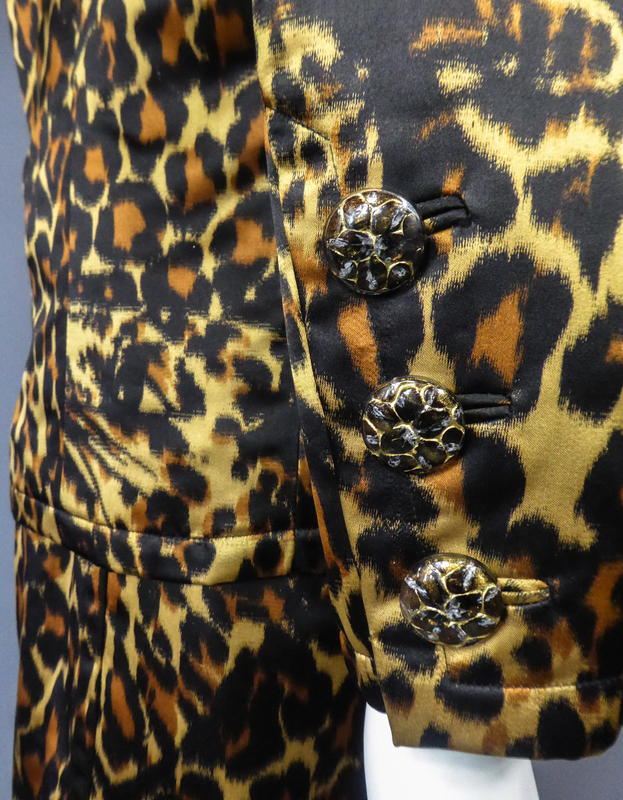 Translucent buttons with golden panther effect. 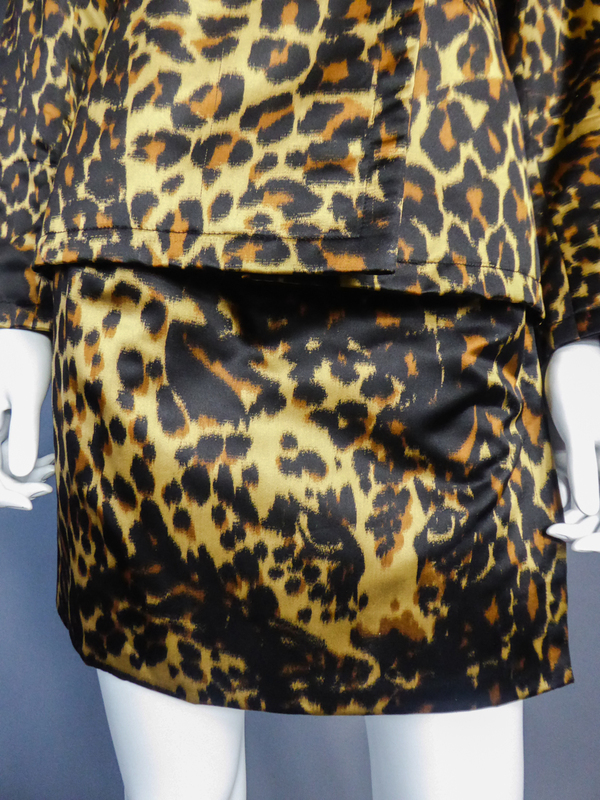 Short wrap skirt with side parts closed by snaps. 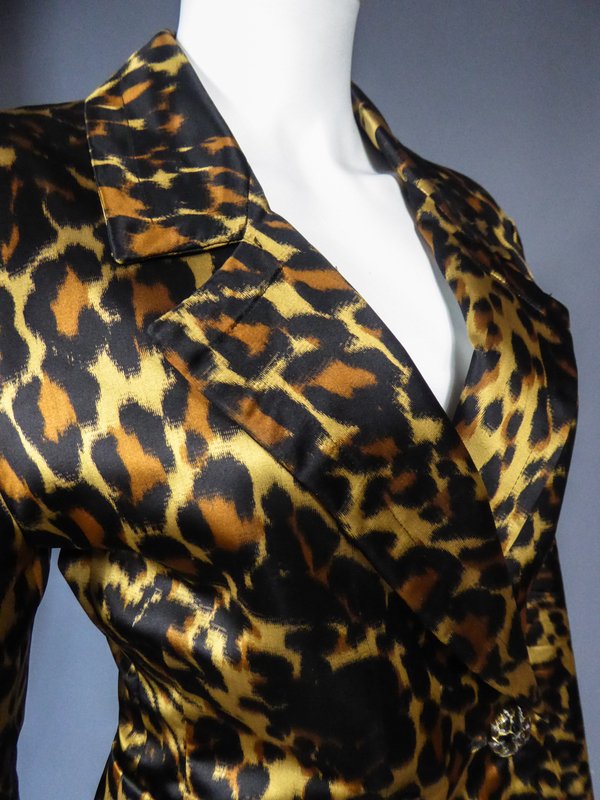 Lining in glossy black silk satin. 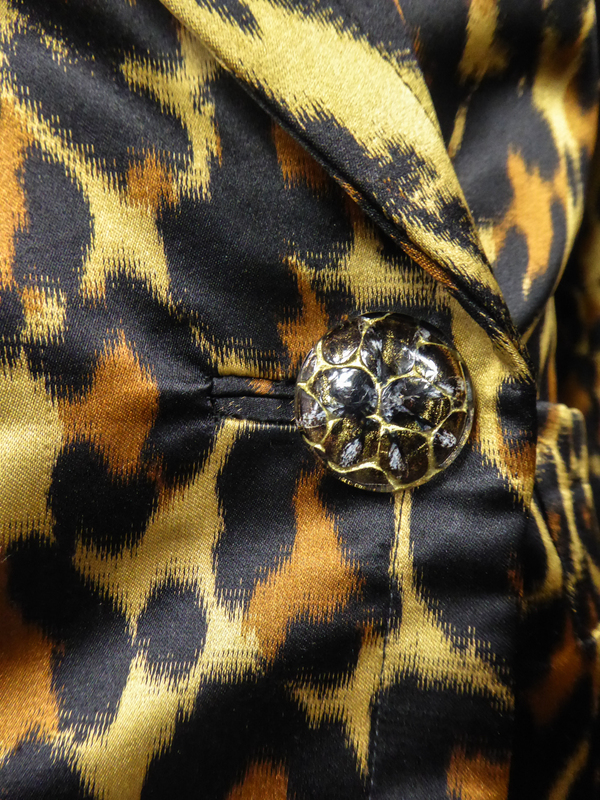 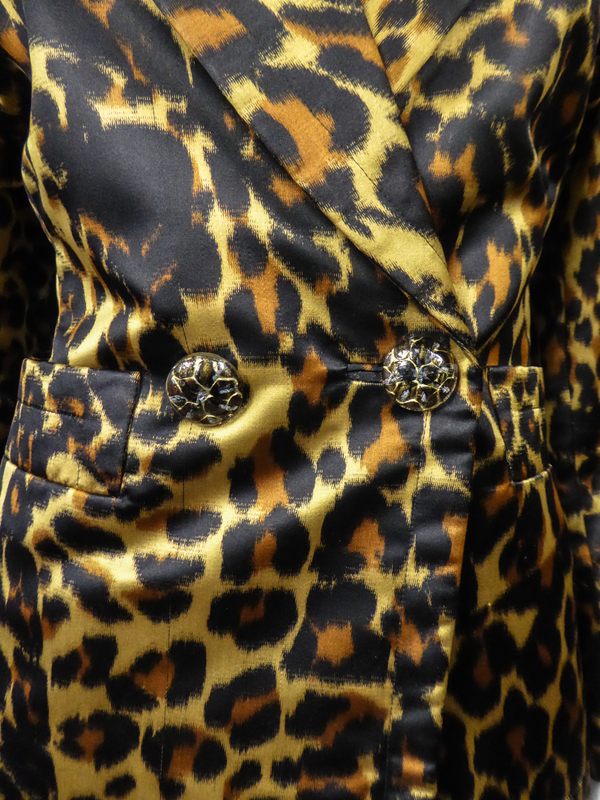 All finishes are handmade and couture especially with covered with satin snaps hidden under the jacket and skirt. 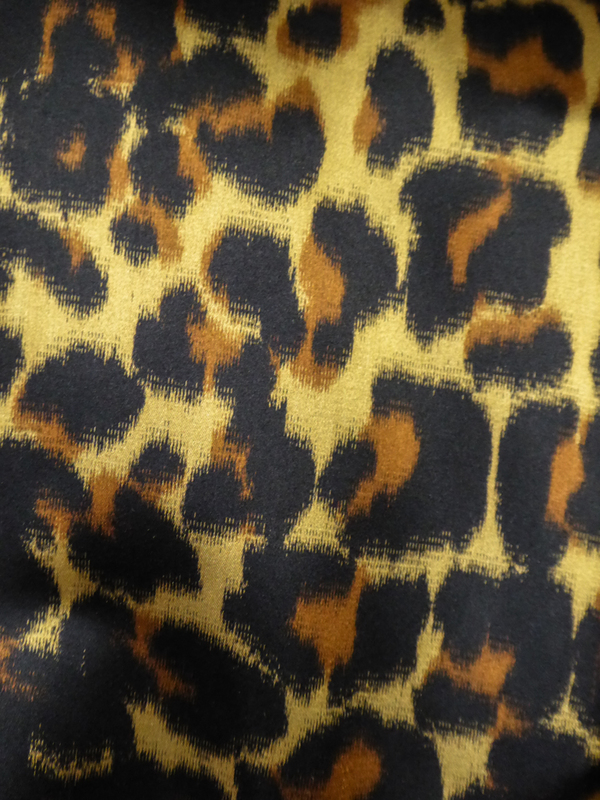 No label, never worn. 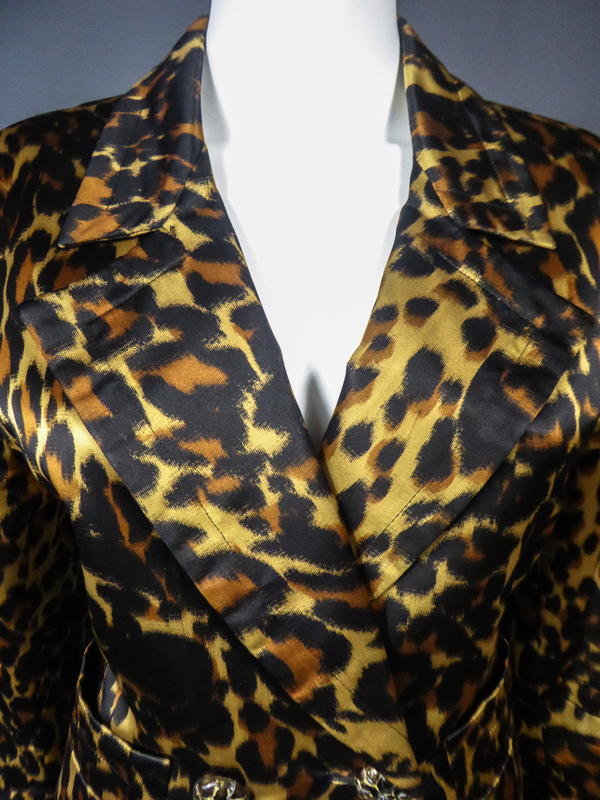 Excellent condition of color and preservation.